Carbon Steel Pipe Distributor in US,CS Pipes For High Temperature Service in Washington, D.C.
API Pipe Supplier in Washington, D.C.
Superior Steel Overseas is largest stockist of an extensive range of Carbon Steel Seamless Pipe in United States.Carbon Steel is a popular choice of metal which is typically stiff and strong.Carbon steels have the ability to rust easily but they can easily be painted or primed to avoid this.As a well known stockholder we have huge inventory of Carbon Steel Pipe in United States,which used in a variety of sizes to meet the structural piping requirements for oil & gas,petroleum,Fuel and Oil Transmission.Superior Steel Overseas have our sales agent in United States who help you to provide perfect Carbon Steel piping solutions.We are trusted and reliable supplier and distributor in United States with huge inventory.Carbon Steel Pipes are manufactured as per national and international standards.Our offered Carbon Steel Pipes in seamless and welded are known for their sturdiness, remarkable quality and cost-effectiveness.We understands the importance of timely deliveries and that is possible because of our sales agents in United States. We have many years of experience in selecting and transporting final carbon steel pipes that used in various industrial applications.We supply our own delivery fleet to two convenient locations—Chicago or New York. Superior Steel Overseas is largest independent suppliers of Carbon Steel pipe from approved vendors of various internatinal companies such as PED & KBR approved,Gasco approved,ISO certified,KOC,KNPC approved,Saudi Aramco appoved. Carbon Steel Seamless Pipes and Carbon Steel Welded Pipes (ERW,EFW,LSAW,DSAW) are dispatched after all these Mill Test Certificates, Chemical Reports, Mechanical Reports, PMI Test Reports, Visual Inspection Reports, Third Party Inspection Reports, NABL Approved Lab Reports, Destructive Test Report, Non Destructive Test Reports, India Boiler Regulations (IBR) Test Certificate.Buy these Carbon Steel Seamless Line Pipes at affordable price in United States from us.We supply any order size, big or small, can be delivered—across town or across the United States. Superior Steel Overseas is largest supplier, stockist and distributor of Carbon Steel Pipe in United States. Superior Steel Overseas is largest supplier, stockist and distributor of Carbon Steel ERW Pipe Price United States. 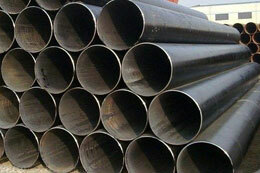 Superior Steel Overseas is largest supplier, stockist and distributor of Carbon Steel Welded Pipe Price United States. Superior Steel Overseas is largest supplier, stockist and distributor of Carbon Steel Welded Tube Price United States. Superior Steel Overseas is largest supplier, stockist and distributor of Carbon Steel ASTM A106 Carbon Steel Pipe Price United States. Superior Steel Overseas is largest supplier, stockist and distributor of ASTM A333 Carbon Steel Pipe Price in United States. Superior Steel Overseas is largest supplier, stockist and distributor of Carbon Steel ASTM A671 Carbon Steel Pipe Price United States. Superior Steel Overseas is largest supplier, stockist and distributor of ASTM A53 Carbon Steel Pipe Price in United States. api 5l EFW Pipe in Washington, D.C.
api 5l LSAW Pipe in Washington, D.C.